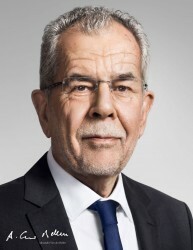 Alexander Van der Bellen is an Austrian economist, former politician of the Green Party and since 26 January 2017 ninth Austrian Federal President of the Second Republic. 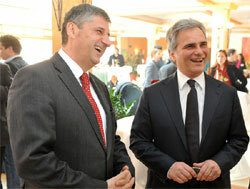 The Austrian opposition blames the government for concealing the biggest financial disaster in Austria´s history. Governor of the Austrian National Bank Ewald Nowotny is under fire too. The two governing parties SPÖ and ÖVP have reached their worst results ever. Nevertheless, nothing will change in Austria. The Austrian political landscape has changed. New parties will enter the Austrian Parliament. Nevertheless, there is no realistic alternative to the “grand coalition” between SPÖ and ÖVP. Tomorrow, Austria will hold elections. The coalition between the social democrats (SPÖ) and the conservatives (ÖVP) has to fear that the majority may be lost. Fiscal Pact undermines sovereignty of parliament and forces the country to severe austerity measures. Economists think that the budget does not contain enough reform steps. The opposition does not see any signs of progress. Today, the Austrian Audit Court explained that costs may reach up to € 4.8bn. According to the biggest Austrian opposition party FPÖ, the European Stability Mechanism violates the Austrian constitution. The Austrian Federal President Heinz Fischer approves the parliamentary referanda on the highly controversial ESM and Fiscal Pact. Now, only a constitutional complaint may prevent these issues. The three Austrian opposition parties FPÖ, The Greens and BZÖ announced to bring a complaint of unconstitutionality against the Fiscal Pact. 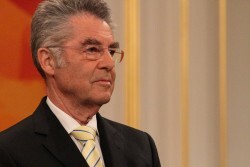 Austria´s Federal President Heinz Fischer does not sign the ESM approval by the Austrian Parliament yet. „I am not under time pressure.“ he says. 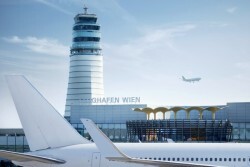 The controversial European Stability Mechanism was ratified by the Austrian National Council. The right opposition parties criticized the approval massively. Austrian Members of the European Parliament welcomed the decisions taken by the euro summit. By contrast, the opposition party FPÖ criticizes the result as „final step towards a debt union“. The government parties SPÖ and ÖVP got support by the oppositional Green Party. The remaining opposition parties criticized the „loss of sovereignty“ massively. The Austrian Green party will only vote for the ESM if there is a basic consent for the financial transaction tax. The Swiss National Council approved the tax deal with Austria. Illegal funds of Austrian nationals in Switzerland will be taxed. Gabriela Moser (Green Party) calls the Austrian government to implement a telecommunication strategy. 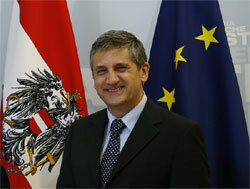 Under the ÖVP-FPÖ government, Telekom Austria was abused as “cash cow”, Moser says. For FPÖ, the tax deal with Switzerland is a “gift for tax evaders”. The Green Party sees support for tax fraud. After the signing of the EU fiscal treaty at the EU Summit today, reactions in Austria are very different. The largest opposition party FPÖ calls for a popular vote. 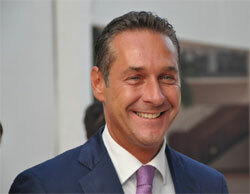 The Austrian opposition criticizes the rescue of VBAG by the government massively. Further bank aids are feared. In order to install the „debt brake“ into the constitution, the Austrian government tries again to persuade the opposition parties. After the “debt brake” has failed, the President of the Chamber of Commerce Christoph Leitl, Finance Minister Fekter and the Federal President Fischer criticize the three opposition parties. The Austrian government´s plans to introduce a “debt brake” in the constitution has failed. The three opposition parties are against the idea. 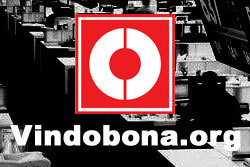 By 2014, Austria will have to pay penalties because of the missed Kyoto targets. Payments could amount up to € 1.0bn. Anschober (Greens): "The Minister of Economy insists on the worst promotion policy of green electricity in Europe: this is hostile to the business and labor market"
The Austrian technology group rejects vehemently the accusation of the Greens concerning the alleged sale of nuclear technology to Pakistan. After several weeks of controversial discussions, the Supervisory Board announced Christoph Herbst as new CEO. He will succeed Herbert Kaufmann. Vassilakou becomes Deputy Mayor under Häupl. The program aims to have a recognizable green handwriting. The last major points are budget issues. Both sides are however optimistic of reaching an agreement. There is no fixed coalition commitment as yet. However, all signs point to a red-green coalition in the federal capital. Elections in Styrya: SPÖ manages to claim first place, just. The SPÖ was able to claim the first place after a thrilling count against the ÖVP. The FPÖ was able to double results as compared to 2005, and gets into the Landtag again.